Mud hunting: Seeking the right combination of factors (Anaerobic, saturated flax root, iron content) to create a mud which can be harvested and used in the dying of cotton. 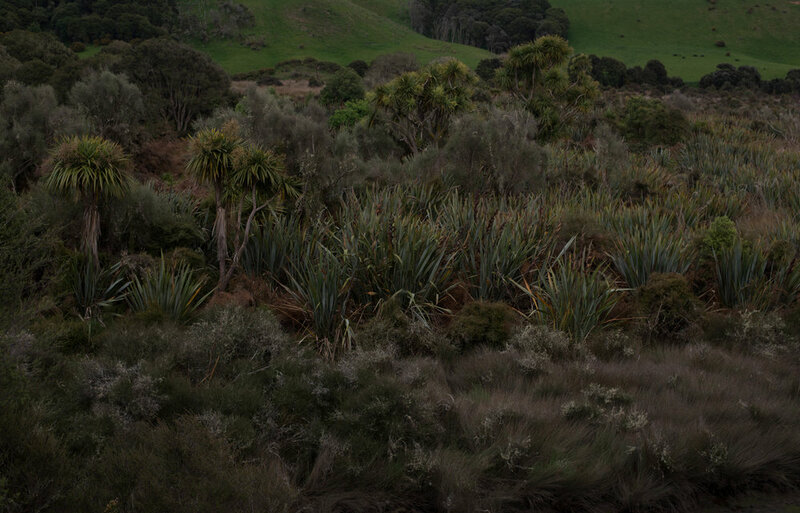 A pursuit Both Experimental & Elemental, we walked deeper into the swamp drawn towards the heart of flax forest and bird reign–kingfisher, tui, piwakawaka. dense layers of flax closed over where we entered the swamp. After much rain over the week prior the mud may have been too saturated with freshwater to be considered of use. nonetheless Kate Anderson, working in CONJUNCTION with moiratoire of paris, collected samples for testing on pre-washed plain cotton strips.